Eyeglass Lenses | About eyeglass lens features and add-ons. "I've gotta say, these readers are way cool, and the functionality; WOW! -But they are a little bit heavy." 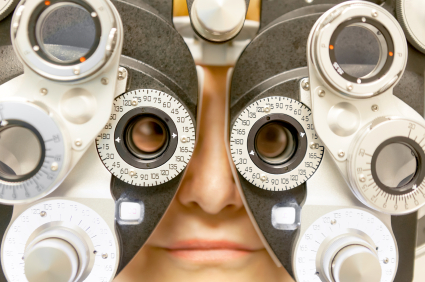 When you shop for eyeglass lenses you need to know what you are getting. There are lots of lens materials and add-on features that all come in widely varying degrees of quality. All of our reading glasses come in either CR-39, Polycarbonate, or Aspheric Polycarbonate materials. All of our Made-To-Order reading glasses come with Aspheric Polycarbonate, whether you opt for 'No Options', 'Anti-Reflective', or 'Transitions'. Our Anti-Reflective Coatings are new technology coatings, in that they are super scratch resistant and have easy to clean hydrophobic top coats. These types of lenses are sold in stores for from $180.00 to $300.00! CR-39 is a hard resin plasic with good optical quality. In plus powers, (reading powers-That's what we do!) CR-39 tends to magnify your eyes. The higher the power, the more magnification. While CR39 can be sratch resistant, (All of our CR39 lenses are) they are not as durable as polycarbonate, and not as thin. All of our bifocal lenses ar CR-39. For people that have high prescriptions, whether for distance or near vision, high index eyeglass lenses are thinner and lighter in weight than regular CR-39 plastic lenses. 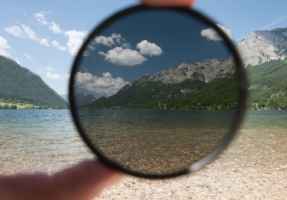 The term 'high index' refers to the index of refraction of the lens material. CR-39 or 'Regular Plastic' lenses are on the low end of the spectrum. 'Polycarbonate' comes next, and is one of the most popular materials used in eyeglass lenses. It is very lightweight, and impact resistant. The optical qualiy of today's polycarbonate lenses is far better than it was when it was first introduced to the market. From polycarbonate we move into what are considered 'Mid-Index' lenses with indexes ranging between 1.5 and 1.57 . These do not offer a great diiference in thickness compared to polycarbonate and do not have the impact resistance of poly either, so they are not used as often. High Index Lenses are typically refferred to by the index number. For example, 1.6 or 1.66 or 1.67 or 1.71. Currently, the highest index lenses are 1.74. The higher the number the thinner the lenses. This refers to high index plastic lenses and not glass lenses. Some high index glass lenses have as high as a 1.9 index of refraction. (diamond is 2.0!) Unfortunately, these lenses are no longer available in th U.S. market because of safety concerns. How much thinner are high index lenses? There are several factors involved, but roughly speaking, a polycarbonate lens can be about 25 percent thinner than CR-39. A 1.67 index lens is about 20 percent thinner than polycarbonate, and a 1.74 index lens is about 20 percent thinner than 1.67. The frame size, and the type and amount of your correction have an impact on the thickness of eyeglass lenses. Eyeglass Lenses-Aspheric Lenses- Why would I need this? 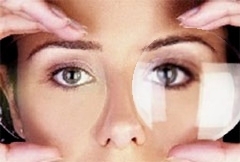 Aspheric lenses are thinner and flatter than non-aspheric lenses. The biggest advantage for far sighted folks that need lenses that magnify, is that they reduce the 'bulging eye effect'. They are also lighter and thinner than non aspheric lenses. Optically, they reduce this 'bulging' effect in what you are trying to see as well. This is why we use aspheric polycarbonate in all of our custom crafted reading glasses. Anti-Reflective Coatings- Better Optics for computer use, and makes you look better too! Eyeglass lenses with Anti-Reflective Coatings, or 'Non Glare Coatings', provide better optics than lenses without the coating. When light hits the surface of a lens, approimately 20 percent of that light bounces off. This creates unsightly reflections for both you, the wearer, and the person looking at you. These coatings 'pull' up to 99 percent of the light reaching the lenses through to your eyes. Anti-reflective coatings give you clearer vision and less eye fatigue, especially when driving at night or staring at a computer monitor and when your friends look at you, they can see your pretty eyes and not a lot of shiny glare. We use the best of the new and improved AR coatings on the market today with excellent scratch resistance and additional coatings added to make the lenses less easy to smudge and more easy to clean. We offer our Mojo AR on our bifocal lenses as an option and our Mojo BluBlock AR on most of our regular single vision lenses. 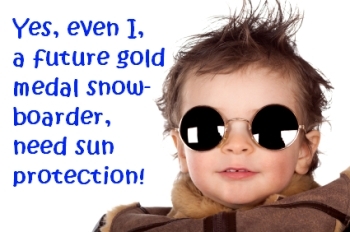 UV, or ultra violet light can damage your eyes. Wearing lenses that block UV light is important for indoors as well as outdoors with sunglasses. Certain types of industrial lighting emit UV light and computer screens can emit UV as well. 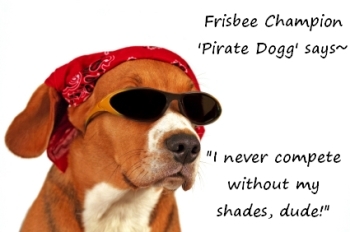 Our aspheric polycarbonate lenses have a built in UV 400 filter that blocks UV-A and UV-B. Near UV-A (Blue Light)- There is a part of the UV spectrum called Near UV-A. Essentially, Near UV-A is a type of blue light that is emittted by hand held electronic devices like cell phones, tablets and iPads. Like UV A and B, Near UV-A can damage your retinas but can also cause problems like headaches, eye strain, and insomnia especially when using these devices at night. The solution for this problem is blue blocking tint. We offer our Mojo BluBlock tints in 3 colors; amber for nighttime use, brown for daytime indoors, and grey for outdoor use. If you are experiencing any of these problems, blue block tint can help even if you do not require reading power. (Select zero 0.00 as the power.) Our Mojo BluBlock AR coating also blocks Near UV-A. Read more about blue light and our exclusive solutions here. When looking for sunglasses, you need to ask yourself what it is you are going to use them for. If you have light color eyes, then you are probably particularly light sensitive, and may need darker lenses. If your eyes are a darker color, you may just need lightly tinted lenses. Most folks prefer darker lenses, because dark lenses generally feel more soothing. Some lenses have a gradient tint, where the color is darker at the top of the lenses and lighter or clear at the bottom. For people who need bifocal reading glasses or no line bifocals, this works well because you benefit from the glare reduction at the top of the lens but can still read clearly through the lighter bottom of the lens. The drawback to gradient lenses for some is that you are typically looking through a medium dark tint which is not as dark as a solid tint, and gradient tints are not available polarized. The lenses in polarized reading glasses and polarized bifocal sunglasses, virtually ELIMINATE reflected glare, as opposed to just making the glare look darker. These eyeglass lenses are perfect for driving and fishing, or doing anything near water. Polarized lenses provide great sun eye protection but keep in mind that polarized lenses can also 'blank out' some LED screens. Not recommended for pilots.